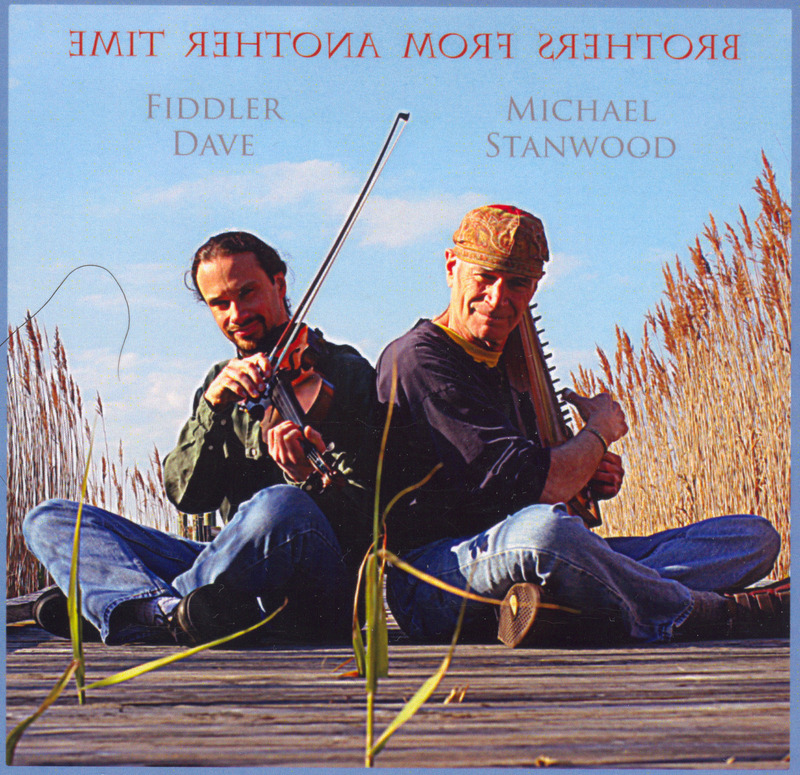 Welcome to a new album from Fiddler Dave and Michael Stanwood! Borne of years of musical friendship, this album brings together these two musicians in a wonderful tapestry of song and tunes form the mountains of Colorado to the sandy shores of Ocracoke Island, NC. 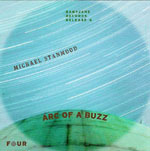 Michael Stanwood compositions include: Breakin' Up with Myself, Shattered to Love, A Dream Had Me, Quiltsong, Ee Go Di Wah, The Gathering. From recordings made in an extraordinary sound chamber, The Tank, comes this sonic journey unlike any other. 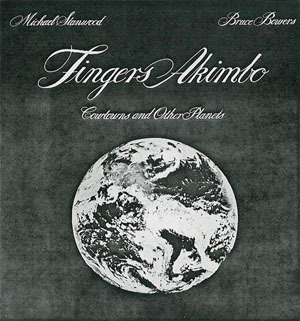 Inspired by cosmology and mysticism, Michael's vision has been gleaned from a collection of chants, prayers and intentions, to which many great musicians have contributed. Add to that the musical, sonic and technical skills of Scott 'Gusty' Christensen, and they have created a CD of both depth and beauty. Portal includes fifteen cuts, with an added thirty minute reprise of "the Ocarina Garden" specificly for body workers. A very short story: The devil was out with a friend one day, when the friend suddenly tapped him on the shoulder, saying, "Look over there Mr. Devil, there's someone, and he's picking up the truth. You're about finished, Mr. Devil." To which the devil replied. "Oh give him five minutes, and he'll make a concept of it." 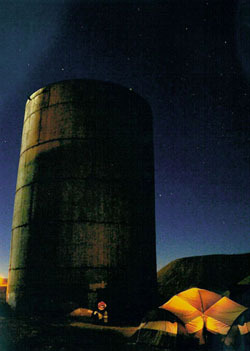 As the full moon rises above the tank, no one doubts that spirits will come out of the air and down into this place, to play and echo and improvise through the persons of us all. 2. WARRIOR'S CHOICE: A choice that trusts in the power of intention. Rafael Bejarano, the wonderful didgeridoo player, believed that C# was the resonating note of the universe. There are many different opinions on that. The Hum is a sound made up of many sounds, and like the metaphor that it stands for, seems to be able to lie under and accommodate every step of the journey. 3. BODACIOUS MUD: Brian Swimme uses the term, "galloping mountains," to remind us of a bigger picture of the history of the universe and our place in it. "In the presence of eternity," Robert Green Ingersoll wrote, "the mountains are as transient as clouds." I think I read somewhere that Mt. Everest is over fifty feet taller than when Hillary and Tenzig climbed it in 1953. 4. GOIN' HOME: A chant of longing with no words but in the refrain. A year after recording, I found the perfect words for it in Stephan Mitchell's book, A Year to Live. "Gate, paragate, parasamgate" (translated, "Gone, gone beyond, altogether gone beyond") I always hear these words in the chant now. This is a place of perfectly circular echoes, each sound becoming pure ambient presence, unveiling all of it's inner dynamics like the unfolding of a flower. 5. SWIRLING GRACE: This also is a recurring metaphor in sound. The realm of possibilities is always alive, as when the tank takes the sound of two Mbiras, played against it's walls, and turns the notes into a choir of overtones. 6. SOLEY: The Huichol indians have believed that the soul emits a high whistling sound, and that sound is a means of calling the soul back into the body. This is a chant that Aubrey and I sang in the tank, and to which Vickie Dodd later brought the intention of a prayer for unity.... for bringing opposites together. 7. CIRCULAR CYBER CAFE: It was a good time for a laugh.... Totally metalytical dude. 8. HEY LAI YEI and OCARINA GARDEN: Also called, "The Chlorophyl Molecule," in another nod to the history of the universe, when 3.7 billion years ago, this molecule was able to receive the light of the sun and thus, set the stage for plant and animal life. The underlying theme of this piece is the ability to receive, another lesson from the tank. The sound in the tank is before language. All sounds blend and swirl and transform like the waves and ripples that wash over sand patterns at the bottom of an ocean tide pool..... Beneath the far off canopy of moonlight, the candle flames flicker. 9. SWIRLING GRACE and THE PASSING: A prayer of gratitude. 10. KHAEN PRAYER and HEADIGHTS IN THE DISTANCE: The tank has always been particularly friendly to the Khaen, a 16 bamboo reed instrument, which loosely translates into 'mouth organ.' The title is a Casteneda reminder of our death, of which we get glimpses like headlights in the rear view mirror of a car, appearing and disappearing behind hills . 11. CLEANING THE LINK (of intent): and LA BAJADA: (the descent) Almost every culture believes in some kind of descent or dark night of the soul from where "the lark ascends," as William Blake would say. With each new struggle comes renewed wisdom. The descent is a challenge to survive and then find a greater good. I got the title from a rest stop between Albuquerque and Santa Fe. There is a moment in the religion of Santeria when the presence of the god comes down to ride the worshipper like a horse, displacing personality and taking over form, moving voice and body like a divine puppeteer. That is what I've come here to find. I want more than anything to dig down below the geologic layers of representation and meaning, to find the body of the earth and the rhythm and notes of all things. 13. CELEBRATION: It was a good time to celebrate. As Orpheus falls... and the children dance... and no one can doubt there are angels in the symmetry of these sounds... the grail that we seek is direct, unmediated experience. 14. REMEMBER: Relates to all we have experienced before, but also that which is in our cellular memory, the memory that includes our whole history in the universe...... hydrogen atoms creating galaxies...... that connects us to our oneness. 15. HOME: I am always deeply moved by Jesse Manno's concertina and vocal and how they seem to bring us to a place that feels like home. 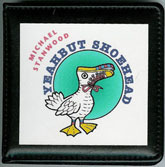 "Yeahbut Shoehead" is a recent compilation of recordings involving some of the most notable songwriting, performing and productions emerging from Denver...From the raucous and jazzy sax solo that kicks off I'm a Dawg, to the rollicking cajun mix on Badda Gotta Hamma, and the straight ahead rock 'n roll mix of Goony Boony and a Gop, the CD is full of great performances...among the best chidren's recordings I've heard in years." Ralph Melcher, Reviewer and essayist, Sant Fe, N.M.
CD copy available by special request. "The lasting impression of Stanwood is one of integrity. He is a man who believes intensely in what he is doing, and he does it with deep commitment... Indeed this was a fun evening in the highest sense of the word. Above all, it made music what it should be, a collective experience." "The community room at Fort Morgan Library & Museum was packed with people from age 2 to 95 for Stanwood's musical presentation, and they were not disappointed. It was not Stanwood's first visit to Fort Morgan..."
After graduating from the University of Pennsylvania, Michael Stanwood spent time as an actor and radio producer. With a strong theater background, he performed in many TV shows (Mannix, Run for Your Life, Night Gallery among others). He has since gone on to become a multifaceted musician, having received private training in guitar and other folk and ethnic instruments both here and abroad. With 20 years of teaching experience, he has been an Artist in Residence and performed his school assembly program, Sound Ideas, throughout the country. Stanwood is a five-time winner of Westword's Best of Denver for everything from his recordings to his performances. He has composed scores for dance, theater and film as well as for three critically acclaimed recordings. He has produced multi-media events for The Denver Zoo (Animal Communiqué) and The Denver Museum of Nature and Science (The Circle of Life). He has toured throughout Southeast Asia as a musical goodwill ambassador for the U.S. Information Service. 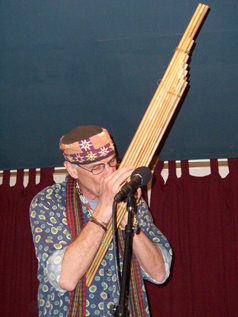 He now plays a variety of ethnic instruments like the didjeridu, the Thai khaen, and the mbira, as well as the guitar. First Place winner in the 2012 International Autoharp Championship, he is considered one of the finest autoharp players in America today, and he has played that instrument with orchestras and solo....as well as with numerous bands. His also leads the highly acclaimed Buzz Band, a group of nine musicians who play ethnic instruments. His recently released CDs, Arc of a Buzz and Portal, have received rave reviews. 2012 International Grand Champion, Will Schnebley, a.k.a. Michael Stanwood. Also an award-winning children's performer and songwriter and has played at international festivals throughout Canada and the United States. He has released a collection of children's songs titled Yeahbut Shoehead, which is also the name of his popular children's band -- a staple at Colorado festivals. 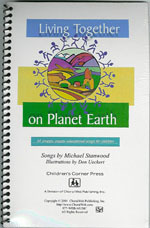 His Artist in Residencies around the country have created, with students, a catalogue of over 100 curriculum-related songs. 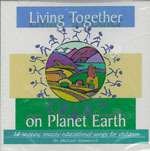 In 2001, he produced a CD of these songs, Living Together on Planet Earth, for ChoralWeb Publishing. Michael has also been a teaching artist at Colorado Aesthetic Education Institutes between 1997 and 2007. 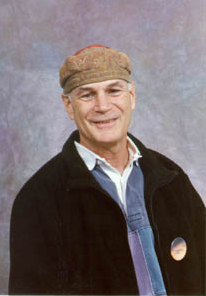 In recent years, Stanwood has performed solo or with one of his bands at The Big Top Chautauqua of Wisconsin, The Cherry Creek Arts Festival, The Norwest Culture Fest, The Denver Performing Arts Fest, First Night Raleigh (North Carolina), Strings in the Mountains, and Crestone Music Festival, among others. In 2000, he was a presenter at both the Colorado and Arizona Music Educators' Conferences with his Songs to Learn By and Sound Ideas. A visual artist as well, Michael's photographs have been shown at Borders Books, McPhee Gallery, RMR Gallery, First Night Raleigh (for which he added a musical score) and in juried shows of Celebrate Colorado Artists, The Curtis Arts Center, and the Red Feather Lake Arts Festival. With his project, Skymessengers, he has collaborated with poet, Jack Collom, to give voices to the images. See his Sky Messenger photos here.